The most common way to interpreting the price Moving Average is to compare its dynamics to the price action. When the instrument price rises above its Moving Average, a buy signal appears, if the price falls below its moving average, what we have is a sell signal. 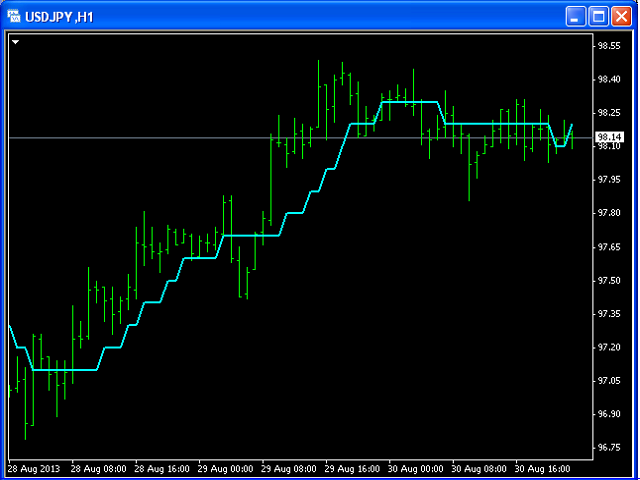 To avoid a spontaneous entries one may use this update from Moving Average Indicator = Stepper-MA.